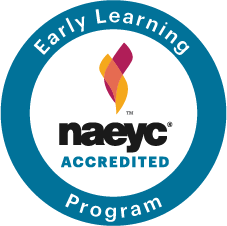 The Montessori Toddler program offers children eighteen to approximately thirty-six months opportunities to explore their independence and connection to the world using their extraordinary capacity for learning. During the first three through years of life Maria Montessori observed that children go through sensitive periods for language, order, movement, and attraction to small objects. The unique classroom environment is beautifully designed to appeal to the child’s natural curiosity and meet the diverse and special developmental needs of children aged 18 months to three years. Furniture is custom-sized to allow for maximum exploration and development of the senses. Windsor Montessori Toddler program is comprised of two Toddler classrooms; one provides a 5-day full day program with available hours from 6:45am to 5:30pm and the other offers a 5-day, 2 ½ hour class (from 8:30-12:00pm). The full day program is designed for working parents it offers a nap, more outdoor time, and a second work period in the afternoon. The 2½ class operates during the school year only. We offer Montessori toddler camp programs the summer months. The daily schedule includes a balance of child and teacher initiated activities including gym and outdoor play periods. A weekly creative movement and music class is held. The Teacher to Student ratio in this program is 1:4. The Montessori toddler environment is prepared to meet the toddler’s growing emotional and cognitive abilities. Furniture is custom-sized to allow for maximum exploration, movement and the development of the senses. Classroom lessons include sensorial work and instruction in math and language. As the child grows emotionally, physically and intellectually, the activities in the classroom continue to change to meet his/her needs. In many instances, this is the first experience the child has of being away from his/her caretaker. Waiting for one’s turn, sharing, and patience are important lessons that each child learns. The Montessori teacher offers the tenderness, warmth and patience so essential at this age. An emphasis on the importance of a peaceful environment, with the necessary nurturing and caring, is a characteristic of this program. Meals and snacks are served in the toddler environment. Grace, courtesy and table manners are molded and encouraged by the teachers. The children sit in small or large groups for snack time. They assist in the preparation of the snack and table setting. The children will learn to serve themselves and clean up after themselves. Healthy snacks are provided by the parents on a rotation each month. Snack calendars are posted outside each classroom. If you need healthy snack suggestions you may contact your child’s teacher. We do not serve any nut products or items manufactured in an environment where nuts are processed. Water is available for consumption the entire day. All full-time children will have lunch provided by the parent in a lunch box with an ice pack. We encourage meals to be complete with something from each food group. The toddler classroom provides a two-hour block of time for children’s exploration. This time identified by Dr. Montessori is called the work cycle. During this time children have the freedom to choose works on his/her own, receive instruction from the teacher or participate in small group activities happening in the environment. We refer to all of these activities as the child’s work. Children may choose works in the following areas, practical life, sensorial, fine and large motor works, language and math. These activities mimic the everyday tasks children observe their families do at home. Included in the Practical Life activities are personal care routines. Toddlers take pride in and enjoy taking care of their classroom environment. Works you may see in the toddler environment are hand washing, washing and setting the table, juicing an orange, and personal care routines. In the Montessori Method, sensorial activities help the child explore the world through all five senses. Activities include bead stringing, pouring water, and transferring work with fingers or tongs, working on puzzles, comparing textures, playing in the water and with play dough and exploring different smells. Language activities in the Toddler Program build on the foundation established in the first eighteen months. From twelve to thirty-six months a child’s language explodes. Lots of singing, finger plays, stories and “conversation time” make language learning fun. The class participates in a specialized “music and movement” program each week. The toddler environment also includes plenty of labeling, sorting, and ordering. Toddlers need a “hands on” environment for learning concrete math concepts. Many learning opportunities for manipulating objects help the child begin to understand number concepts, both quantity, and symbol. A variety of materials is available for counting, matching and sorting activities. 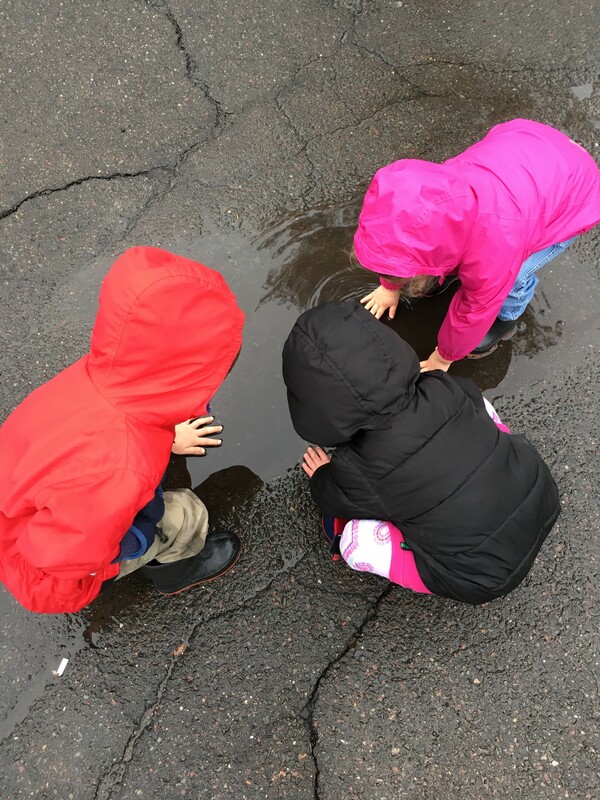 Science activities vary with the seasons and include identifying plants and animals by matching pictures, looking at related books and taking nature walks.